Our beautiful Georgian terrace is dedicated to providing our clients with inspirational and innovative work spaces and office services. So, whether you're a small team, a one man band or a larger organisation looking for a great city centre location without the associated costs, come and see what's on offer in our Albany Street location. Featuring serviced office space alongside Edinburgh's most luxurious co-working/hot-desking space. Five minutes' walk from the shops and restaurants in George Street and just a couple more from Edinburgh's main station at Waverley. The tram linking the city with the airport stops just moments away at St Andrews Square. Located in Edinburgh's West End, within touching distance of Haymarket Station. Features 14 serviced offices. Close to the international shopping boutiques on George Street which is also home to some of the city's best restaurants and bars - perfect for entertaining your clients or taking some hard earned time away from the office. Our deposit is equivalent to 2 months rent, and is paid upfront. What is the notice period if we want to cancel? If you would like to cancel your office lease we require 3 months notice. Are the offices furnished or unfurnished? All our offices come furnished; we have a selection of furniture for you to choose from, if you would prefer to supply your own furniture then we can arrange for this as well. What is the square footage of your offices?  All of our offices are very spacious, the exact square-footage depends on the office, get in touch to enquire and see what we have available. Do we get a discount if we take a longer contract with you? This depends on the circumstance, feel free to get in touch and see what we can offer. Can I have 24-hour access to my office? Yes, you are given your own key so have 24/7 access. Do I need to make an appointment to view your offices or can I drop in? We would recommend that you book an appointment if you want to view an office so that we can guarantee someone will be available to show you around properly. If you drop in and we can’t see you then we’ll arrange viewing time for the near-future. We do not allow pets in our offices. Virtual Office? Get a prestigious address at a fraction of the cost.